Ahead of George Osborne’s Autumn Statement due on 25th November 2015, VHS has joined forces with 20 other charities in Scotland to send him an open letter. The letter urges the Chancellor not to raid Lottery cash to make up for cuts in the arts and sport, a proposal apparently being actively considered. 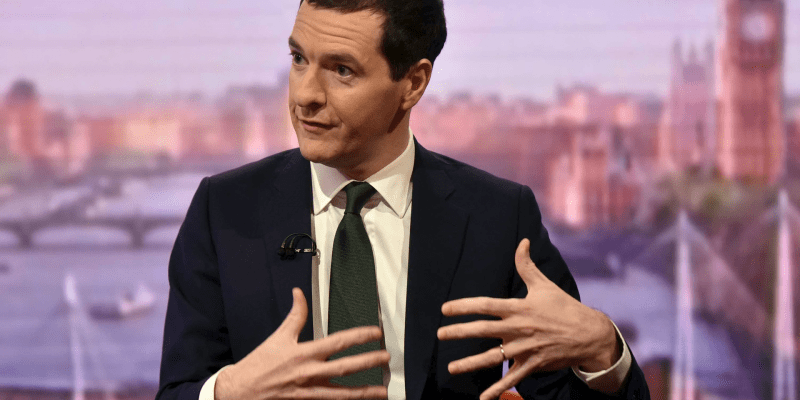 Charities fear that the Chancellor is planning to slash the country’s Big Lottery Fund budget by as much as 40%. The letter has also been sent to the BBC, The Scotsman and The Herald. We are writing to you in advance of Wednesday’s Autumn statement to express, in the strongest possible terms, our anxiety at suggestions that you may be looking to divert a significant portion of BIG Lottery funding away from Scotland’s charitable organisations to make up for planned cuts in the Arts and sporting sectors or for any other reason. As leaders of long established third sector organisations, we want to stress just how difficult such a cut would make, not just our operations, but those of service providers, community groups and individual workers across Scotland’s voluntary sector who are changing lives on a daily basis. We have quietly weathered the worst of the recession, and whilst we have, at times, offered constructive criticism to your legislative agenda, we have never been compelled to write to you directly in this way. Please regard it as a measure of the depth of our feeling that we are compelled to do so now. We recognise the continuing economic difficulties that our country still faces, and with it the difficult decisions that must be taken from time to time in the pursuit of financial stability. As you are aware, we have been fighting to ameliorate the social impact of both the recession and austerity for the best part of a decade. Whilst we have seen a real terms decline in all types of revenue stream- we have had to respond to a steep increase in demand for our services, brought about by the social problems that invariably occur when times are hard. In a lot of ways, this has represented something of a perfect storm for our organisations, but throughout this difficult time, BIG Lottery funding has been a dependable and consistent component which has assured the sustainability of our projects and services. Its removal at this critical time- when Scotland’s local authorities are looking to further cuts from service providers, could represent an existential threat to many services, the social cost of which would far outweigh any short term financial benefit of a diversion of these funds to other sectors. We ask you not to jeopardise a funding partnership which delivers a social return that is far greater than the sum of its parts and without which many would suffer at greater long term cost to the state.